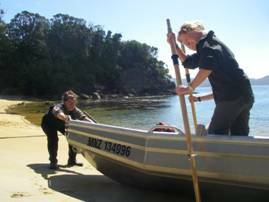 The Department of Conservation (DOC) Stewart Island / Rakiura Long Term Volunteer Programme runs from November to April and is divided into two three month terms. E Hayes and Sons in Invercargill sponsor the accommodation costs during the six month period and thanks to this two-year partnership the programme has capacity to host three DOC volunteers and one SIRCET (Stewart Island/Rakiura Community Environment Trust) volunteer per term. The volunteer programme integrates work in biodiversity, recreation / historic assets and the community. 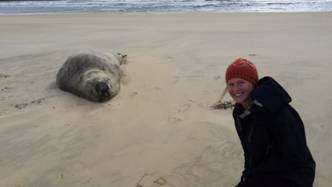 The volunteers undergo a thorough induction and are tasked with activities that give them a wide range of rich, often new experiences - from dune restoration to pest eradication, track trimming to hut maintenance. In exchange for the work volunteers do alongside DOC employees, they gain practical skills, knowledge and confidence. 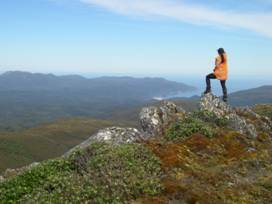 They get to explore remote locations that many people don’t get to see and when in the field, food is also supplied! This year our long term DOC volunteers were Alyesha Candy and Emma Feenstra for the first term and Kirsty Elliott for the second. Emma did such an amazing job as a volunteer she was offered and accepted a two month paid contract for March and April 2015, while Alyesha has returned to complete her studies at Massey University.